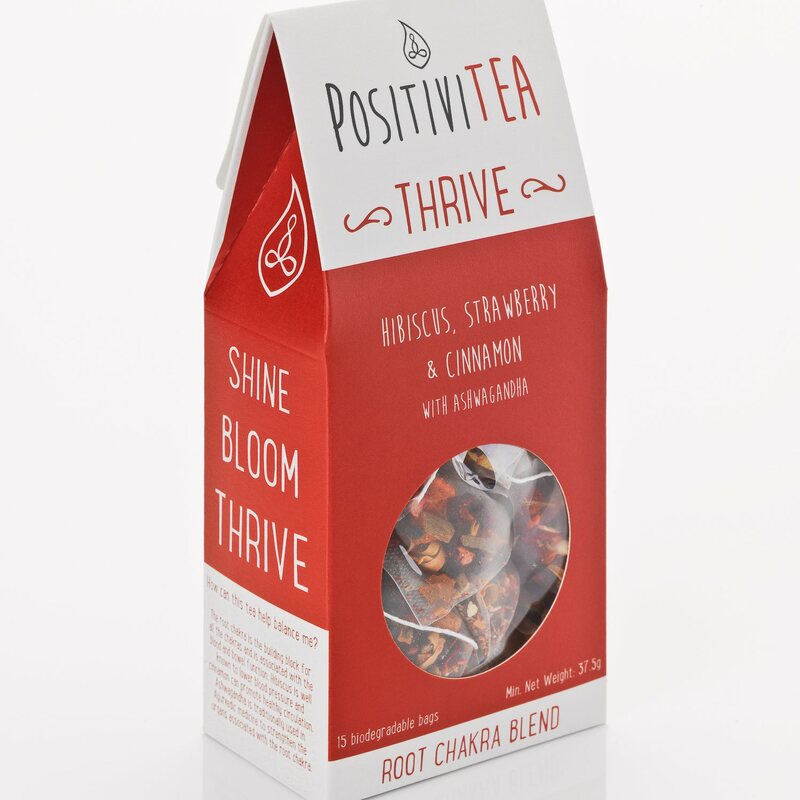 A blend of Hibiscus, Strawberry & Cinnamon With Ashwagandha. The root chakra is the building block for all the other chakras and associated with the blood and bowel function. 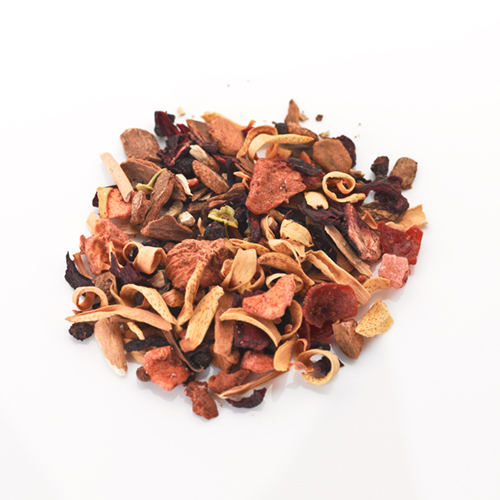 Hibiscus is well known to lower blood pressure and cinnamon can promote healthy blood circulation. Ashawagandha is traditionally used in Ayurvedic medicine to strengthen the organs associated with the root chakra. 2 x 12 biodegradable bags. Ethically sourced ingredients. Blended and packed in the UK. It was a real pleasure to deal with these guys. It was a real pleasure to deal with these guys. They managed the ordering and delivery of multiple gifts sets for me with efficiency and a real personal touch. The recipients all loved the sets so a huge thank you to your team! I ordered them as a gift for someone else so, I don't have a review myself but I was told by the recipient that she loved them. I have just discovered your teas - I had this set as a gift. 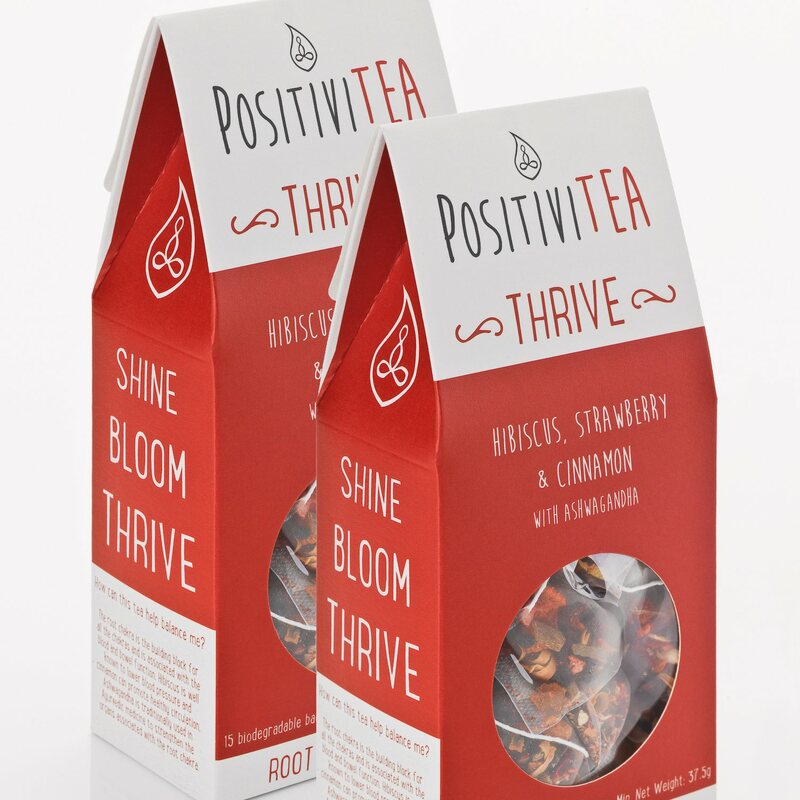 I have just discovered your teas - I had this set as a gift. So lovely and beautiful packaging too! This product is dispatched by Positivitea. This item has a shipping weight of between 0g and 0g depending on the options selected. Herbal wellness teas inspired by the ancient Indian healing system of the chakras.